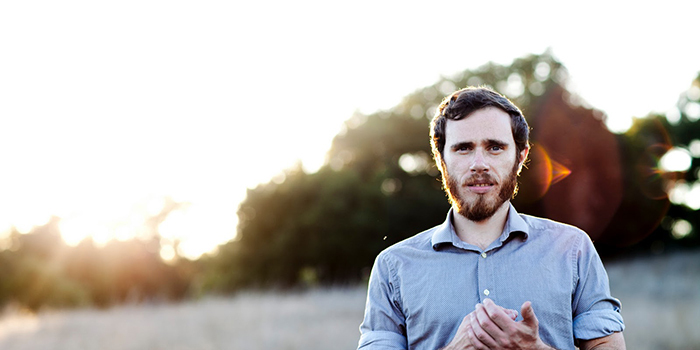 In an extremely memorable show at the Great American Music Hall in San Francisco, James Vincent McMorrow played without the backup and support of his band. Through the intimate nature of the venue and his vulnerability on stage, the audience received a glimpse of his personality, making it the perfect recipe for those who truly wanted to hear the depth of his music without any distractions — just McMorrow under a spotlight with a guitar and a piano. After his originally scheduled sold-out March 18 show at the venue was cancelled due to an unfortunate case of strep throat, the singer/songwriter rescheduled for April 22, driving up from Indio, California after a long tour and double dose of Coachella performances to grace the crowd with his intensely personal solo show. McMorrow seemed nervous, admitting that he hadn’t played many of his newer songs this way before, but pulled the show off with flying colors thanks in large part to a voice that could carry any audience into a euphoric wonderland. The musician, who declines from being labeled as “folk”, “soul”, “blues” or any other specific genre, believes that music can have several different dimensions and enlightened the crowd on his music philosophy. “A song can be anything,” he said as he reinvented many of his own songs with a single instrument instead of a full band. The multifaceted artist switched between piano and guitar at GAMH, and outlined previous shows on his North American tour where he had to take over drum duty as well. This is the beauty of an artist on the rise; things don’t always go smoothly on the first large-scale tour, which can lead to forced improvisation and some truly special experiences for audiences. McMorrow proved the flexibility of his stage performance throughout this tour. “I’m not a diva,” he explained to the audience, and indeed he was able to carry himself in this ultra-intimate show. As his fan base grows and he inevitably books more organized tours at larger venues, this solo acoustic show will be a priceless experience that the lucky few in attendance will cherish and boast about for years to come. If you want to pretend for a minute that you know more than we do about music, go ahead, we dare you to drop us a line.